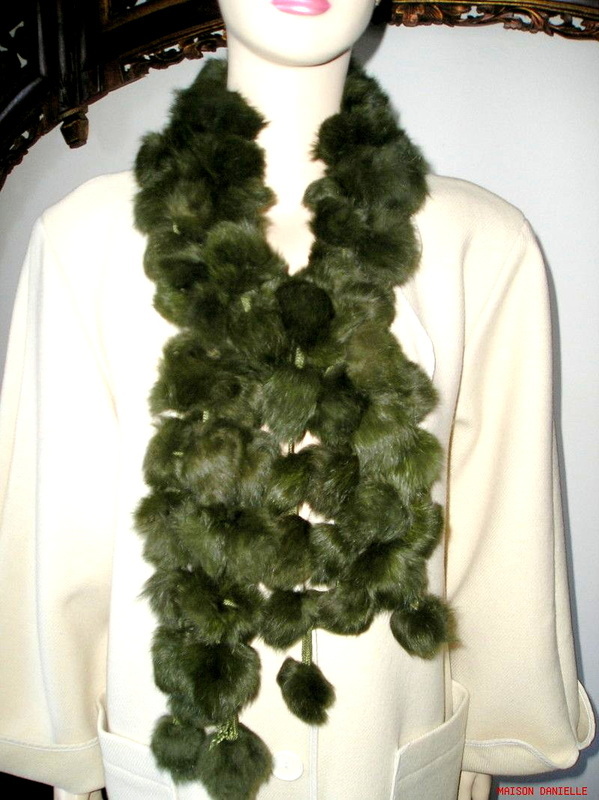 Modern alternative to a wrap or fur collar, this brand new genuine Angora Rex muted forest green fur "necklace" long collar, will enhance an old classic suit or coat instantly. Or add instant pizzas to a cocktail dress. 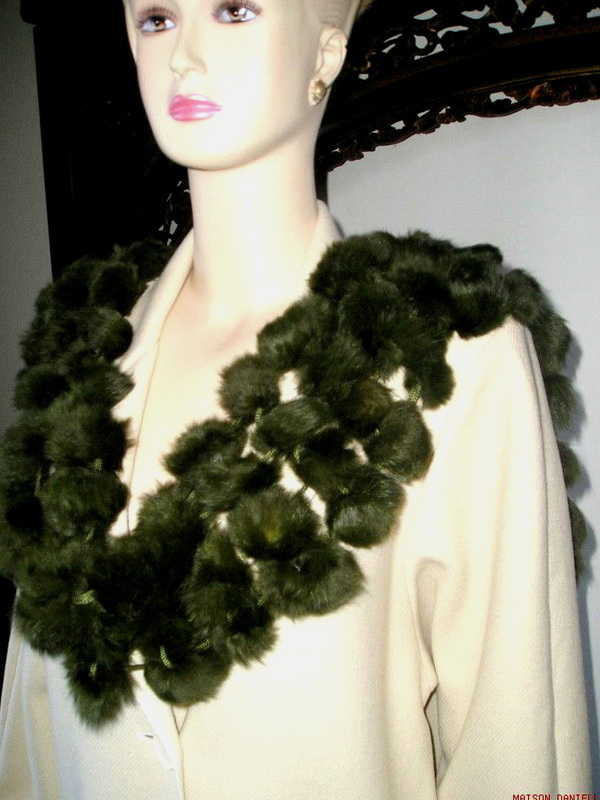 The collar is created from genuine fur balls, extremely soft, arranged in a grid pattern with fur pompons at ends and measures 52" in length. 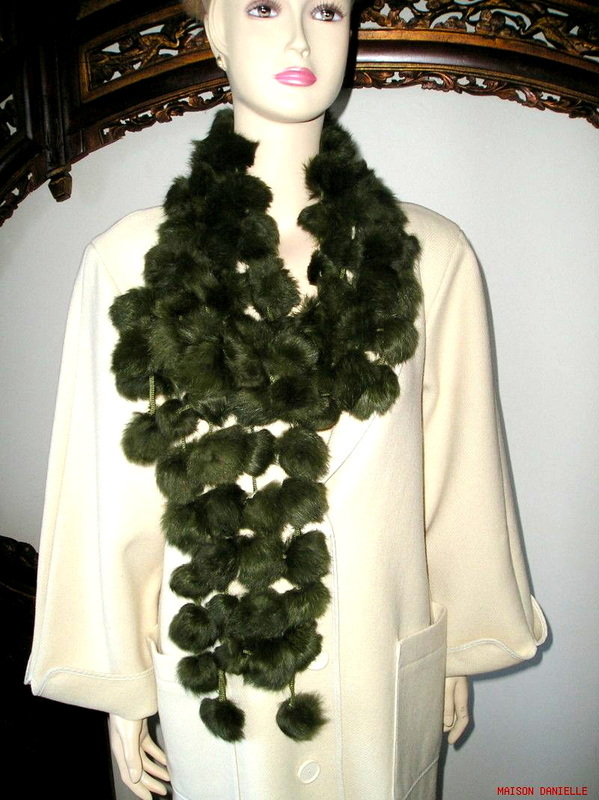 It is photographed with the vintage 70s WEINBERG Paris white wool maxi coat, sold separately.